So before I launch into this post, I wanted to say that honestly COOL WHIP Whipped Topping has been around for my family for awhile. My Mom always seems to have a tub in her fridge and freezer (both she and her cat eat it – I’m not even kidding about the cat – he eats it plain!) so I’ve been putting COOL WHIP on top of desserts for my kids for awhile now. One of the things I’ve always loved about COOL WHIP is that you can store it in your freezer for use whenever. It makes it really easy to just use a spoon and scoop it out to put it on top of whatever you’re having. Our favorite is probably to have it with strawberries. And sometimes cake but more often I’ll give my kids a plate of strawberries and on a special occasion a scoop of COOL WHIP on the side to dip their strawberries into. They love it. You can also find those little single-serving strawberry shortcakes in most grocery stores – do you guys know what I’m talking about? 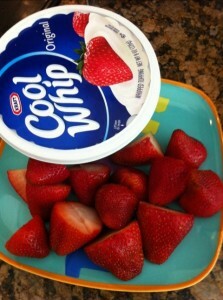 I get those a lot and add strawberries and COOL WHIP! It takes all of 2 minutes to make and its one of my kids favorite desserts. I think the best part of COOL WHIP is just how easy it is. Having a tub on hand in the fridge or freezer makes it really easy to just spruce up any regular dessert – add it to fruit, a slice of pie or even cookies! What about you? Do you have a special dessert you’d like to share? Enter COOL WHIP’s Fan Dessert of the Month Contest for a chance to win $500! 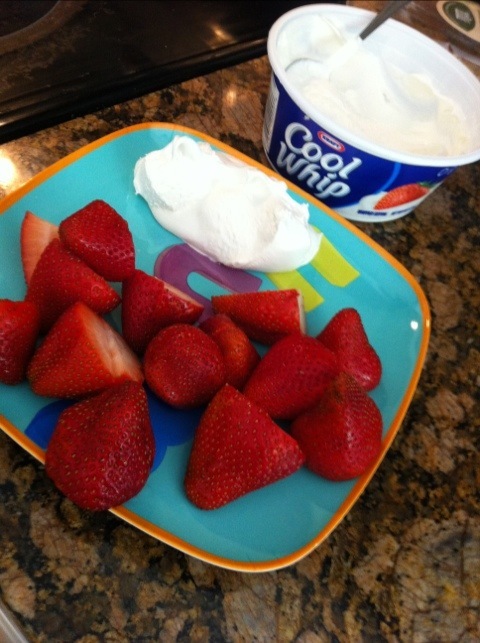 Simply make a COOL WHIP dessert, take a photo, and upload it here. Enter now! 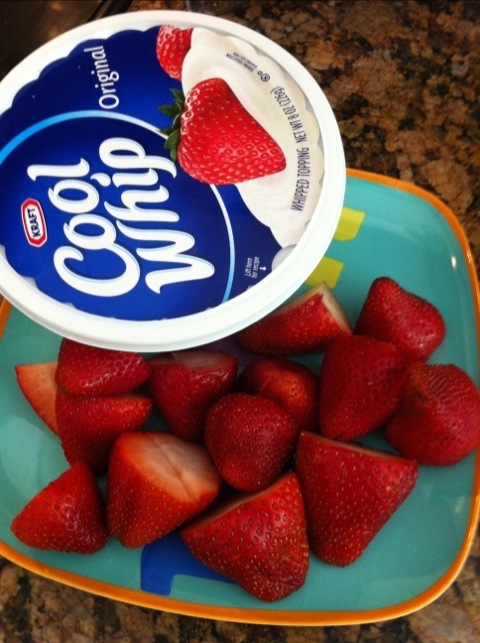 Cool Whip has been around as long as I can remember…That’s a long time!!!! Says something about a great product that stands the test of time!! !